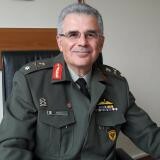 My current position is Director of Geographic Corps Directorate in the Hellenic Army General Staff (HAGS). I am the head of a staff of 200 professionals providing geospatial support to the Chief of HAGS and governmental institutions. Furthermore, we are responsible for providing strategic direction, technical guidance and represent HAGS in geospatial conferences in NATO, Eurogeographics General Assembly, MGCP - TRex technical meetings and UN/Permanent Committee on Geographical Names meeetings. Most of my 30 year career was in the Hellenic Military Geographical Service (HMGS) - the steam engine of the cartographic production in Greece - where I became its commander at the end. Check out the incredible speaker line-up to see who will be joining Brigadier General Christos.